We’ve all got “bucket-list “places we’d love to visit before we die, but currently sitting at the top of my travel list is a place most only got to visit after they died – a very strange train station in Sydney, Australia called the Mortuary Railway Station. For those aboard the funeral train, there was only one stop: the afterlife. The funeral train station first opened its gates in the late 1860s, offering both friends and family of the dearly departed tickets which would allow them to join the deceased on their final journey to the Rookwood Necropolis. The coffin rode for free. Often upwards of 30 dead would be placed in wooden wagons and carefully stowed inside the train, each of them headed to an identical station located in the heart of Rookwood Necropolis. There, they would they be unloaded and carried to their burial plots, where family would gather for a funeral. Rookwood Necropolis is the largest cemetery in the Southern Hemisphere, and at the time, had been established thanks to its long distance away from any major city. Over the years the cemetery has grown so massive that it even has its own postal code. Over one million dead are buried inside the gates of the 700 acre plot of land, which meant that a lot of one-way tickets were punched at the turn of the century. Though the funeral train took its final journey in the 50s, thanks to the decreased interest in funeral customs, the railway station on Regent Street still stands, a monument to a practice long lost. The arrival station that was located inside Rookwood Necropolis, however, was dismantled brick by brick and re-erected at the All Saint’s Church in Canberra. For obvious reasons, plenty of paranormal activity has been associated with both of these locations, which is extra interesting if you subscribe to the theory that railroads act as paranormal power lines, carrying both energy and traveling spirits. 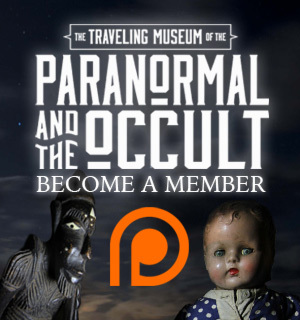 Over the years, visitors have reported the sounds of children’s voices echoing from inside the stations, lurking shadow people darting through the tombstones, and the the residual apparitions of mourning loved ones are a common sight for spooked passers-by. The tradition of riding funeral trains is long behind us, but the fact that some of the stations still stand makes my history-loving heart happy. The Mortuary Railroad Station is one of the coolest pieces of funeral history, but also lingering memory of the loved and lost who used it to reach their final destination. What do you think the practice of funeral trains? Let us know in the comments below! 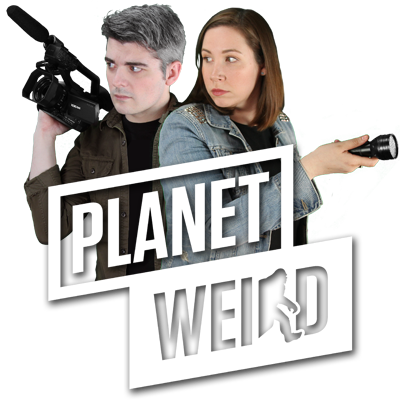 If you’re looking for even more weird news, follow us on Twitter at @WeirdHQ or like us on Facebook. Interesting, that the barb wire fencing surrounding the cemetery is tilted in instead of out. Is that to keep the residents IN? Rookwood is definitely worth the visit, but saying it’s huge is an understatement. Expect to only see part of it, unless you have a few days just to wander the cemetery! And when I was in Canberra, tracking down the station was on my to-do list as well. It’s worth the detour! I did a ghost hunt there about 10 years ago, well hung out there and explored with friends more so. I use to drive past it everyday and think how pretty it is, was in a bit of a rough area then that has now been gentrified. Thanks Dana, made me a little homesick reading the article! Sydney’s Mortuary Station had a funeral line that ran north over 100kms as well, that line terminated in Sandgate cemetary, which is just up the road from me now. That line was open until 1985,..nearly 40yrs after rookwood line was closed.